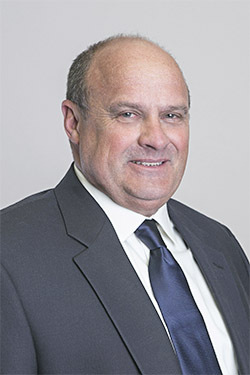 Danny Stevens has served as the Executive Vice President of Field Operations with Capstone Building Corp. since 1997 and has over 36 years of experience in managing complex commercial, industrial, institutional and residential construction projects. He oversees the planning, organization, staffing and controlling operations of each project Capstone Building Corp. has under construction. Danny guides his project superintendents down the roadmap that is established during Capstone Building Corp.’s preconstruction services. These plans move the project into the actual building process. Danny monitors the performance of each project team throughout a project’s life cycle and serves as the final authority on quality. Relationships are crucial at Capstone Building Corp. and Danny has a long-standing relationship with Jay Chapman, President & CEO of Capstone Building Corp. The duo has successfully completed construction projects together since 1985. Danny’s exceptional ability to lead and manage a diverse workforce in challenging environments, both internally and subcontracted, continues to put Capstone Building Corp. at the top of their industry.